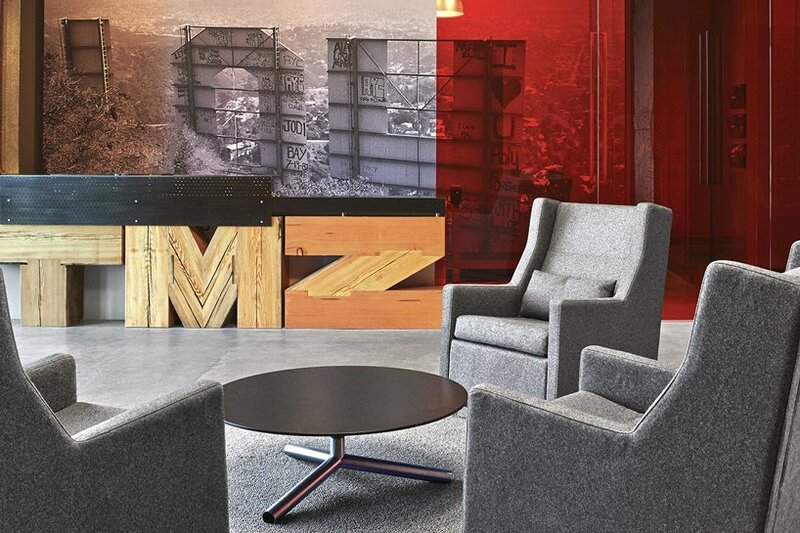 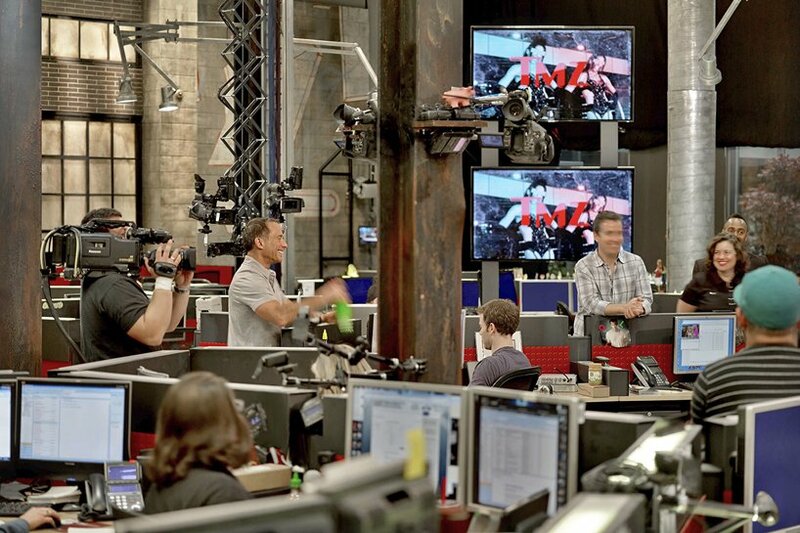 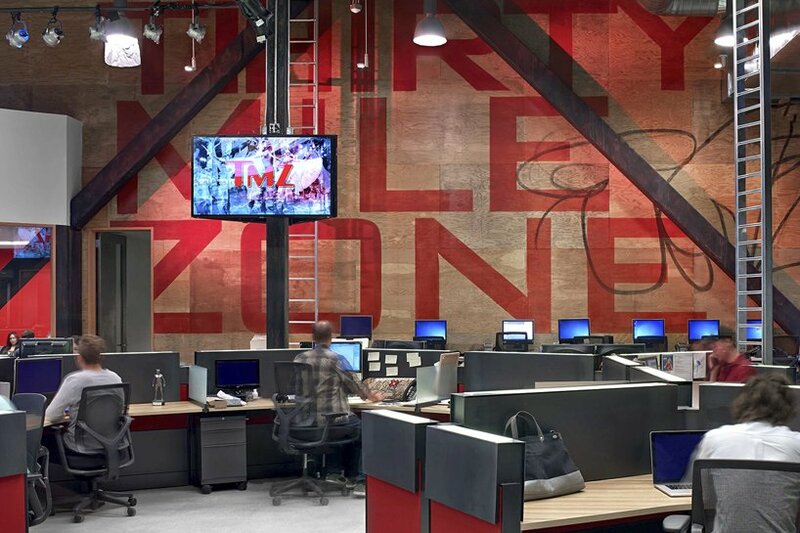 Inspired by the celebrity gossip they promote, TMZ’s brand new workspace is a 9,000 sqft newsroom that looks like an edgy, industrial warehouse. 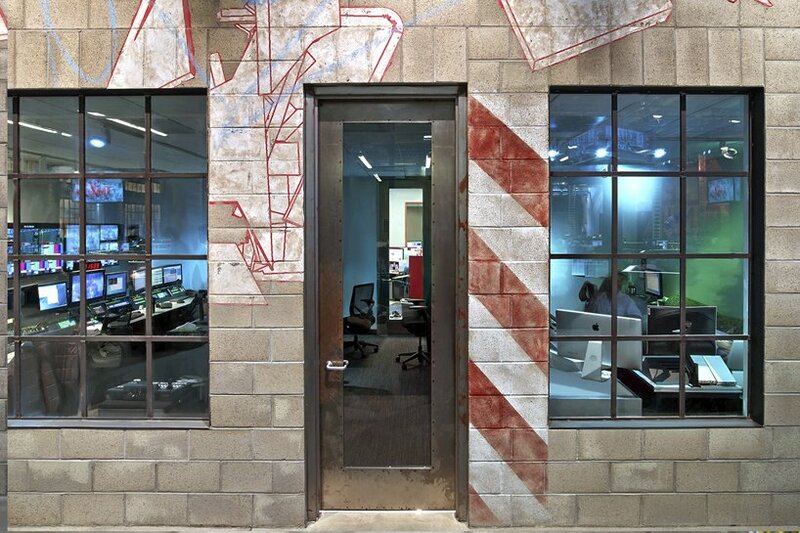 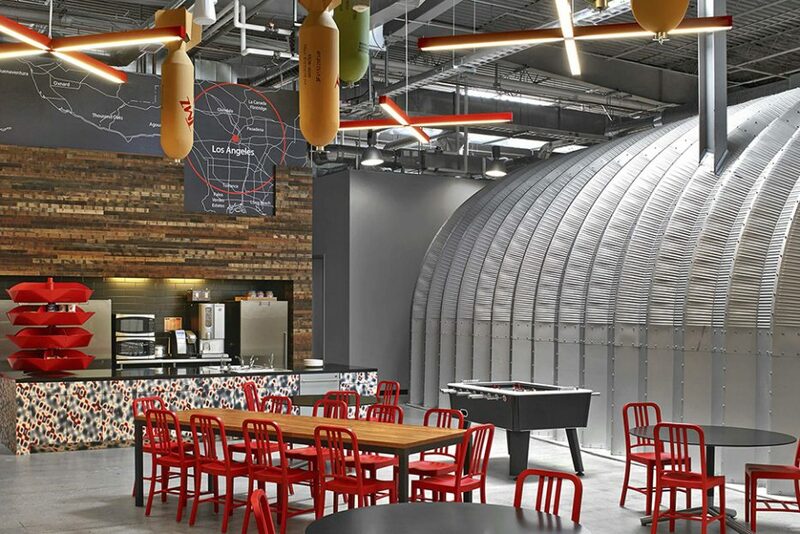 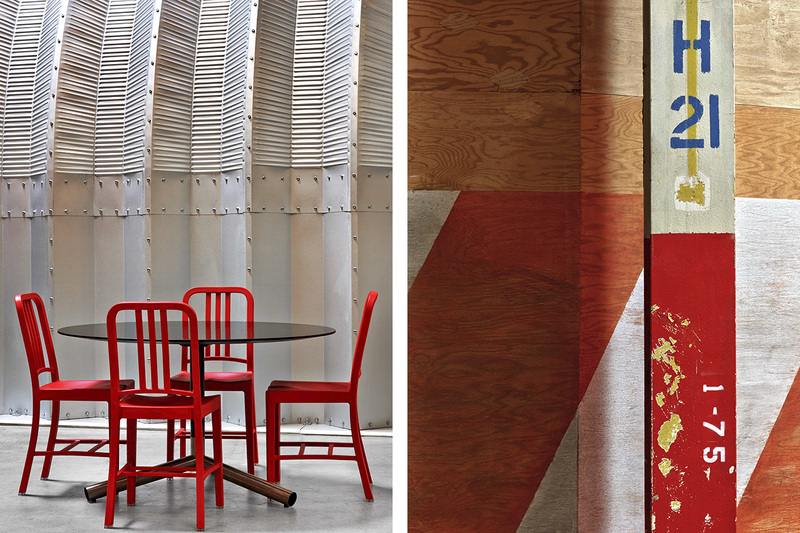 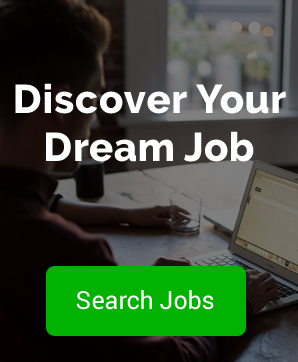 Designed by the San Francisco-based practice Rapt Studio, the newsroom oozes the Hollywood culture they so often write about, unique pieces include a graffitied version of the Hollywood sign and a map of LA. 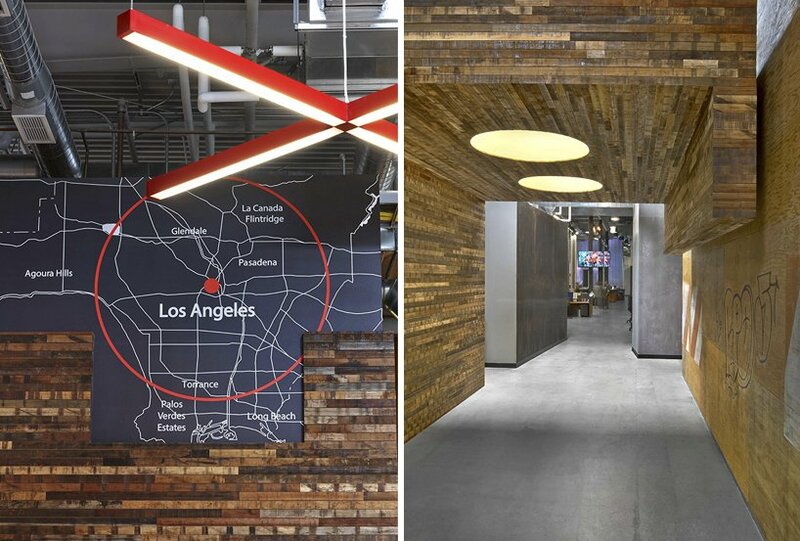 Large bombs also hang from the ceiling, perhaps Escape from LA was the inspiration for those?